Anyone who would bother to read vaccine inserts would know that the MMR vaccine itself can cause measles, and encephalitis, among other things. ( http://www.vaccinesafety.edu/package_inserts.htm ) Measles outbreaks have occurred in populations with a 99% or higher vaccination rate. ( http://www.cdc.gov/mmwR/preview/mmwrhtml/00000359.htm and http://www.greenmedinfo.com/…/why-china-having-measles-outb… ) How? Vaccinated ones shedding virus. Does anyone among the believers in vaccine science ever stop to think why so many booster shots? Because the initial antibodies from the shots eventually disappear. Scientists have discovered (and published) in peer reviewed studies that the presence of antibodies does not always equal immunity. Do you know what guarantees lifetime immunity from measles? Actually getting the measles. Perhaps the measles outbreaks among those who are vaccinated have happened because of nature’s way of correcting itself. In order for everyone to thrive we all need adequate nutrition and a working immune system. Thanks to my pediatrician I am very educated on this issue. He empowered many parents, and continues to do so, by providing science and statistics based info, not only about vaccine myths, but also about what you can do to support, develop and maintain a healthy immune system. He is part of a growing group of medical professionals and scientists who are concerned about vaccine safety and efficacy. His motto: quell the confusion, file away the fear. He is not anti vaccine, he is just not for them while their efficacy and safety are debatable. I have continued to research vaccines, starting well before google was around. The industry has done a fine job of causing a riff between those who choose alternative methods of health care and those who follow the mainstream. This was done by bringing up herd immunity. Thing is, herd immunity does not work by trying to prevent disease via vaccination. Scientists actually agree that lifetime immunity from measles only occurs among those who had measles. I can tell you from personal experience that I had the measles as a child, as did my siblings, most of my cousins and friends at the time. My siblings and I had a mild case, because my mother had lifetime immunity from when she had measles as a child, and because she breastfed all of us. Personally I have never known or met anyone who suffered complications from getting measles. The same cannot be said about MMR vaccine injured children, sadly. As long as clever marketing tactics like putting blame on the unvaccinated for measles outbreaks persist, and people continue to fall into the trap of being pitched against each other, the industry can pursue their business as usual. 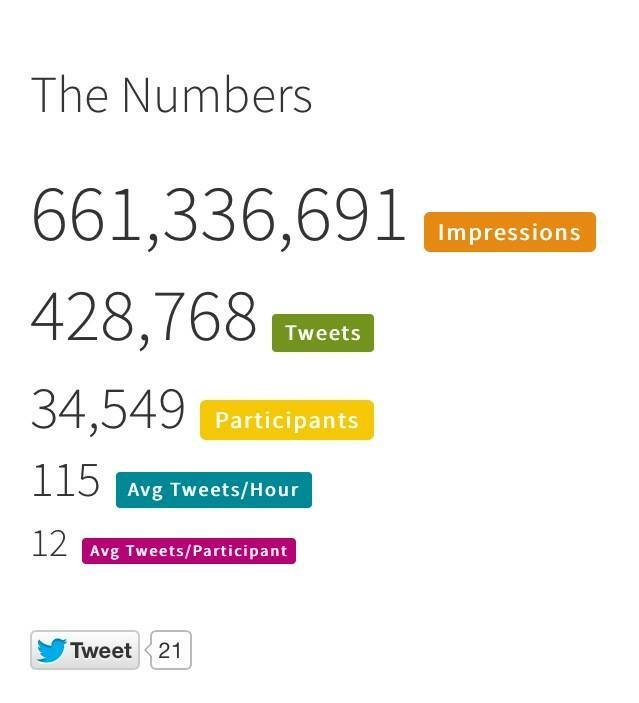 Over 50,000 parents of vaccine injured children have put out 850,000,000 tweets with memes regarding the CDC whistle blower William Thompson who admitted to being part of committing research fraud. This involved covering up the fact that African American boys were shown 236% more at risk for autism when vaccinated with MMR prior to 36 months, in a 2004 study. Autism, a/k/a the condition following vaccine injury resulting in encephalitis (see vaccine insert). CDC and mainstream media, (owned by the Murdock family of businesses, who have members sitting on board of directors with Merck and GSK, and incidentally also own Elsevier, publisher of the British Medical Journal – only the tip of the iceberg) are doing an excellent job of continuing to cover up facts. It leaves parents like us to ponder why these groups of concerned parents do not also want to insist vaccine makers conduct more research, and stop fast tracking vaccines which cause more injury then currently the measles in developed countries. Don’t parents want safer vaccines that work? Vaccine makers have plenty of revenue to conduct more research ($40 billion annually). Clearly over vaccination is not working. If it did, no one would be bickering on the issue of whether or not to fear the measles, or whether or not people should be forced to vaccinate. Everyone would be lining up to get vaccinated. Those 50,000+ tweeting parents once were believers in the “miracle of modern medicine”, until they discovered a one size fits all approach did not at all work for them or their kids. Many of these parents and their kids are living a constant nightmare they don’t wish on anyone. This is precisely why they continue to speak up, triggering this media circus aimed at pitching vaccinating and non-vaccinating parents against each other, to distract us from the main issue at hand here: vaccine failure. Of who we are in essence. For the Love of ALL. 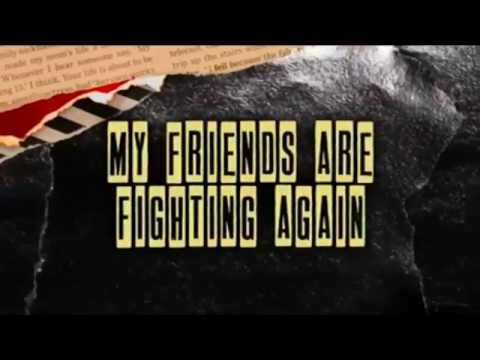 Have you noticed how many are still talking of a coming war today? As if the war against humanity hasn’t been raging for a very long time? 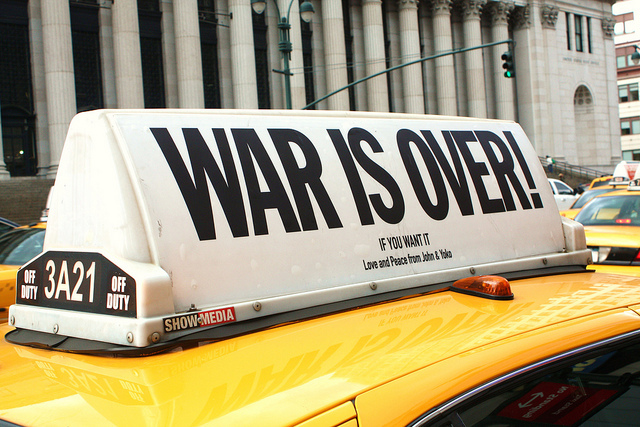 War is not coming to our planet, it just hasn’t quite left yet. War is fed by unconsciousness. So consciousness is the antidote. To that effect many have risen, and continue to rise to the occasion to make the unconscious conscious. In order to make the unconscious conscious, it is important to be in touch with ourselves. What is going on inside? Insider info is the most powerful of all. It shows us who we are, and what we are here for. What we do with this insider information has everything to do with intention: Focused Intention. Know your own, and when your intention is to align with World Peace you can live it every day. From here on there no longer is a need to buy into any World War, whatever number. By knowing what is going on inside, you can decode any message. At the very least you are able to know whether or not it resonates with who you are and what you are here for. These words continue to resonate and live on in many. In an effort to silence him, John Lennon was assassinated for being a threat to those in government who profit from the insane mentality of war. John taught us – and these teachings continue – that true intelligence comes from Love. John Lennon may no longer be here in the physical form we used to identify him with, and yet his essence lives on in millions of human beings as ONE tribe. This essence comes from a tribe of Light beings, ironically called the Tribe of Israel, and has been around many light years before the country by the same beautiful name was ever established. John F. Kennedy and Martin Luther King, Jr. were from this same tribe. 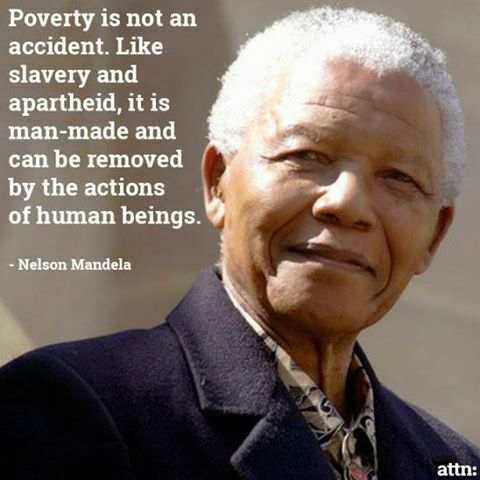 Nelson Mandela too. So was Yitzak Rabin, Israeli Statesman who embraced the Israel – Palestine Peace Process, and was assassinated for it. Another member of this tribe was Eqbal Ahmad, political scientist and peace activist, who brought wisdom and integrity to oppressed peoples. Their essence LIVES ON. It lives on within many of us, people of every imaginable creed and color, each of us rekindling the ever expanding eternal flame of peace within ourselves, triggering many more all around us to do and be the same, just by being who we are. 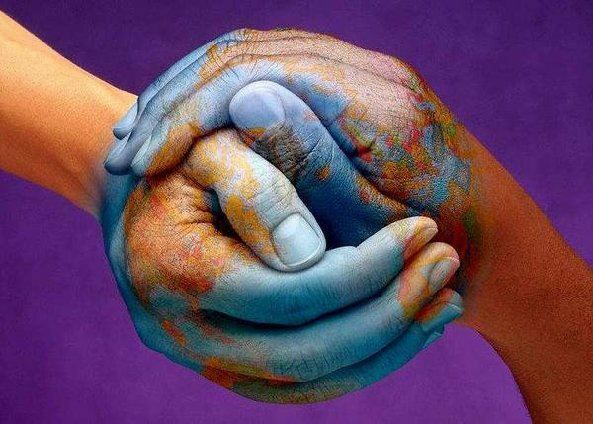 World Peace – Is A Choice. Thank you for reading this, whoever you are. Don’t take my word for it. Take the time to look around and find your own answers. According to Marcella Piper-Terry of VaxTruth: “This is not a good resource – IT’S A FANTASTIC RESOURCE! This should be mandatory reading for every teenager, and certainly for every young adult thinking about having children. 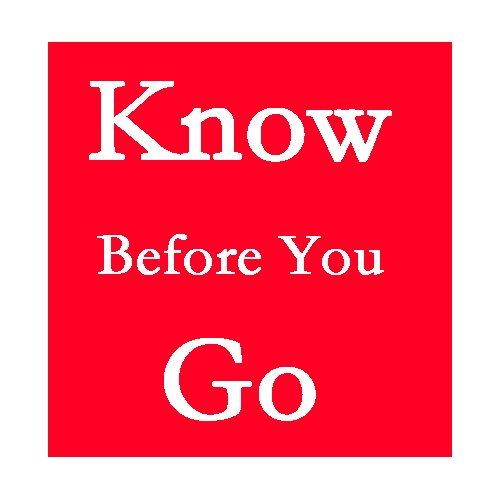 For those who live in states where vaccine exemptions now require parents to go through vaccine education by a physician first, the information in this link will provide you with everything – EVERYTHING! – you will need, to counter the propaganda of the pharmaceutical coaching. You may want to ask: where are these millions of moms you are writing about? My reply: There are plenty of moms and dads of vaccine injured children who do not have access to smartphones or computers. Plenty still that are unable to read or write. Especially in populations that have been cut off from basic resources vaccine trials are done (often without parental consent) instead of giving these people access to clean water and adequate nutrition. Parents who lack resources, and who have been taught by personal experience that these experimental vaccines are detrimental to the health of their people, are fleeing their countries while many are being forced to vaccinate in other ways. In case you think this would never happen in so called developed countries: check this out. Google “vaccination without parental consent” and see how many hits you get. 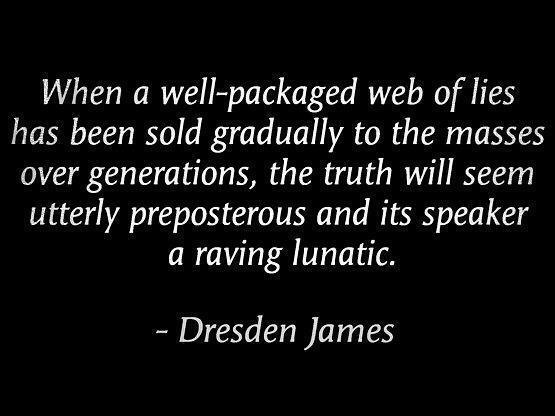 The vaccine hoax has gone on for generations, too many parents are grieving senseless deaths and injuries of their children. If vaccines were indeed benevolent, would governments take such drastic measures to force them on our children? My heart goes out to all who are affected by vaccine injury. I am with you. I love you. I see you. I hear you. I feel you. “In summary, it is possible that either the MMR or the oral polio vaccines, by mechanisms described above, may induce a process of encephalitis or brain inflammation, which may be highly prevalent but as yet rarely recognized for its true nature. second-generation vaccinees may be happening on a much larger scale due to previous sensitization of the mothers from their vaccines, this sensitization in turn being transmitted to the fetus during pregnancy. (12) If this process is taking place, something we cannot know until appropriate research is done, one shudders to think of the unfathomable consequences, should the process be continued into yet another, a third generation. Time may prove that vaccine programs went awry when they deviated from the most basic of all medical ethics, the right of a patient to accept or reject a medical therapy, or the right of parents to accept or reject vaccines for their children. Freedom-of-choice provides a system of checks and balances now lacking. At the very least, this would provide the parents with power to compel better safety screening of the vaccines. The remedy? Parents should be allowed the right of informed consent, or the right to accept or reject vaccines for their children based on full and uncensored disclosure of pros and cons. Well, the tragedy “of historical proportions” has already occurred. 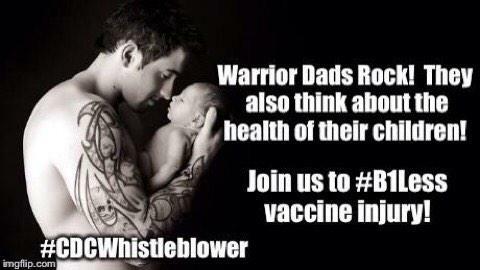 Millions of moms and dads are tweeting and otherwise getting the word out to help prevent vaccine injury. Why? Because they have kids who were vaccine injured, are still dealing with the aftermath, or have found alternative therapies and nutritional interventions to restore their children’s health (which takes years and countless hours of research, trial and error). In any case, these parents are united to do something about the injustices that are done to children on a massive scale. Every time they hear of vaccine injury, which is too often: their heart breaks again. A broken heart is an open heart. When your heart’s armor has broken open, you become empathic. Every parent becomes you. Every child becomes your child. And you want this child to thrive. You delight in hearing pitter patter. Your heart swells with joy when hearing this child’s voice express giggles, laughter and song. And when you notice this child’s voice suddenly goes silent because this child’s parents were misinformed, thinking they were doing the absolute best for their child, because “hey, I was vaccinated and I’m fine” and “vaccines saved me, I could have died from the measles”, and “conspiracy theorist BS”, your heart breaks all over again, and you are reliving the nightmare you are working tirelessly to prevent. And you cry, and you cry, and you cry. Again. And again. And again. Too many times to count. #‎CDCwhistleblower ‪#‎BREAKaBillion and #‎b1less‬ person who is lacking information to make informed decisions for our most precious loved ones who depend on us to act on their behalf. Millions of moms have had enough of the lies and deception. I too am one of them. When mainstream media refuses to report on government cover up (or is gag ordered), we refuse to buy what they are selling. We do have social media to get the word out. Please share! – I can speak from personal experience about the effects of vaccines and the lack of reporting of adverse reactions. I have been a NICU nurse for over 10 years and have on numerous occasions I have seen infants who are ready to be discharged, code within a few hours after the vaccine is administered. Also, it is well accepted in the NICU that infants tend to have apnea and bradycardia after vaccine administration. The question is why? On another note, the reporting of adverse reactions is so sparce that any journal that touts the safety of a vaccine based on adverse reactions that are reported is already dealing with a faulty data set. I queried our head of pharmacology in our hospital and here is the copy of the response. VAERS encourages the reporting of any clinically significant adverse event that occurs after the administration of any vaccine licensed in the United States. You should report clinically significant adverse events even if you are unsure whether a vaccine caused the event. Any event listed by the vaccine manufacturer as a contraindication to subsequent doses of the vaccine. Any event listed in the Reportable Events Table that occurs within the specified time period after vaccination. Basically, this hospital and another NICU that I worked at DO NOT report any adverse or suspected adverse reactions. I have recommended parents who inquire about the safety of vaccines to do their own research on the subject and have also mentioned that I have chosen not to vaccinate my children. Also , the theory about vaccines ramping up the immune sysytem might very well explain the huge increase in asthma, allergic skin disorders, crohns and IBS, and other immune mediated illness. From Concerned Nurse of CA. Boyd Varty, channeling the essence of Nelson Mandela’s Love for Africa. A legacy for our collective inheritance. 2015 is here, and so are we! Happy New Year! What a ride we are on, and thank you for being with me on it! 2014 was a very introspective and intense year with much learning. I am grateful for all of it, including the challenges, and especially the support I have found going through them! Yes, we can move through challenges with as much support as we allow, on as many levels as we allow. The last weeks of 2014 I started to notice number 8 showing up, and embracing it’s energy. Just realized today that 2015 is a universal 8 year. Pondering on that I found an interpretation I resonate with on quite a few levels, but not everything. http://omtimes.com/2014/12/8-universal-year/ As for the “Ebola crisis“, there was foul play involved in attempting to spread it, and it was unsuccessful with people who have access to adequate sanitary conditions and nutrition. Every crisis presents an opportunity to grow, learn, transform, transmute. It is hard to watch others suffer, especially when it is only due to improper sharing of resources. And yet it was necessary to see it for those of us, who are willing to open our hearts and minds, stick our necks out and do something about it! This is the year where humanitarian services have more opportunity to succeed in sharing information, access to services, clean water, energy, etc. I am thankful to each and everyone who contributes whatever you can to be of service to our planet and all its life forms. 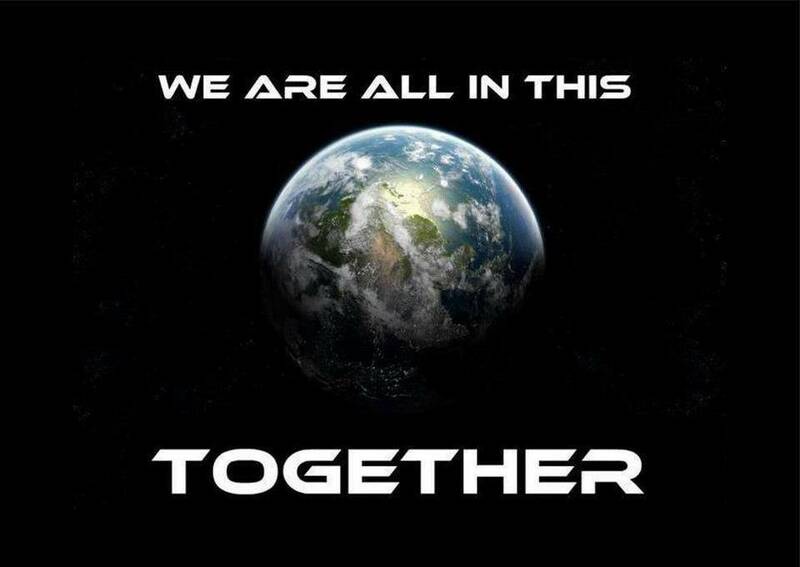 As part of humanity we are being asked to each do our part or face extinction. 8 is a number that resonates with personal empowerment. With infinity, perfection, harmony, balance, Christ Consciousness (meaning we are each an expression of Divine Source). True power resonates with the Life Force. It comes from the Divine Seed Blueprint of Creation. From intelligence. From Love. External programming can interfere with this. Once you learn how to release this programming, there is no longer a need to play control games or guilt trips. Once you choose your own programming and experience the power of self control, and freedom from fear, it becomes unattractive to impose control, judgment and guilt trips on others, as it would only set you back. Why? Because what we do to others, we are (collectively) doing to ourselves. This much I learned (and quite a bit the hard way) until I found tools of courage and compassion. I also continue to learn to recognize the importance of free will. This means trusting and allowing others to learn and find their own way, as we each may resonate on different levels. How else do we avoid fundamentalism, and achieve harmony and balance? Drum beats do resonate on the heart level, and different patterns altogether can create beautiful harmonies. As for the predictions and projections I have seen in social media, some may come true, and some will not. Will there be set backs? Of course. The end of the world as we know it has already happened, and unsustainable structures and systems are collapsing as a result. It helps to recognize our own part in what we experience, so that the setbacks or crises we face can serve as a perspective to help find common ground where we each can plant the seeds for our collective well being. It doesn’t have to all be seen as disaster. Let’s incorporate creative play and fun in our actions. The 8 ball factor counts here too, and its timing is perfect! Our collective thoughts and feelings create reality. 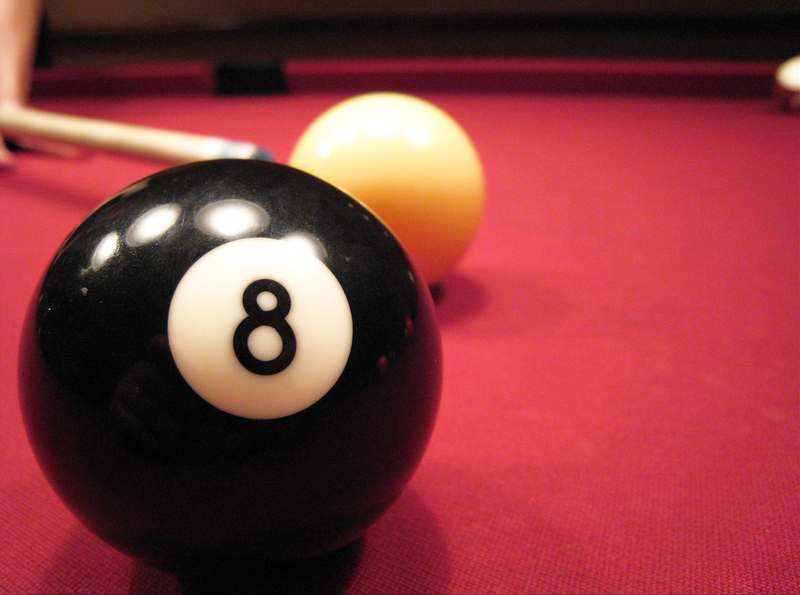 So this coming year we are invited to roll with the 8 ball. To step into our collective power, and accept the gift of response-ability. To assist in this movement, I am here to facilitate more workshops and events.